Summer is here... well, I bet you know it. I've said so many times that where I come from, the seasons don't change significantly so it's like Summer all year. A little bit more rain (or lots) during Hurricane season, but in terms of heat... basically the same, unless you go to a high mountain during Christmas... LOL! Can you see it? It's kind of abstract, right? LOL! 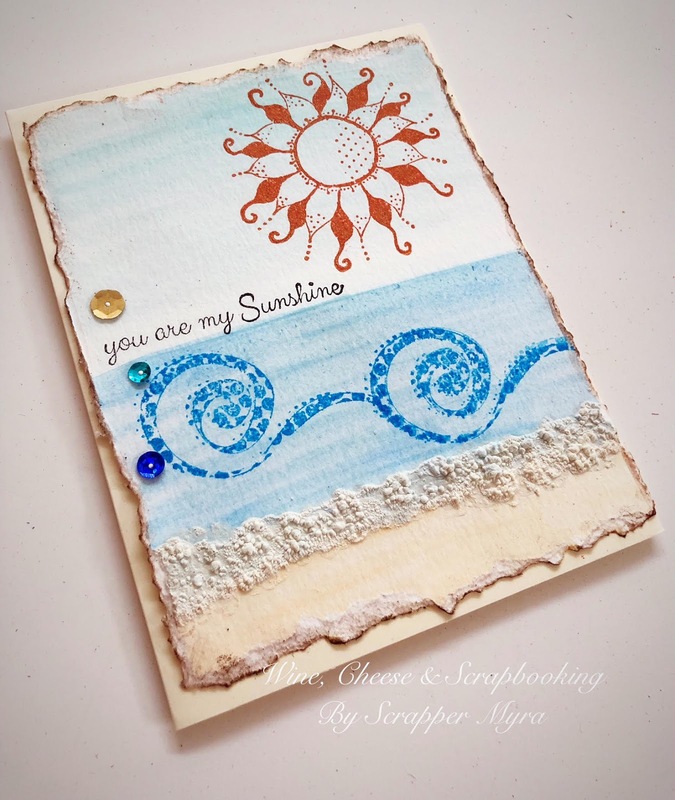 Sun, swirls (waves) and sentiment are from Unity Stamp Co. 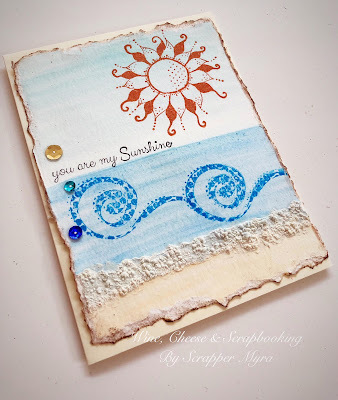 I shared this card with Unity Show and Tell group for the watercolor challenge they are currently running. 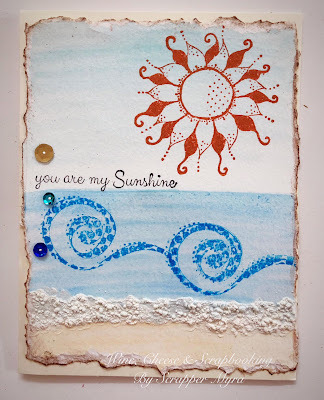 It's simple watercoloring application combined with stamps and snow marker... plus a few sequins. I distressed edges hand tearing apart and applying ink.